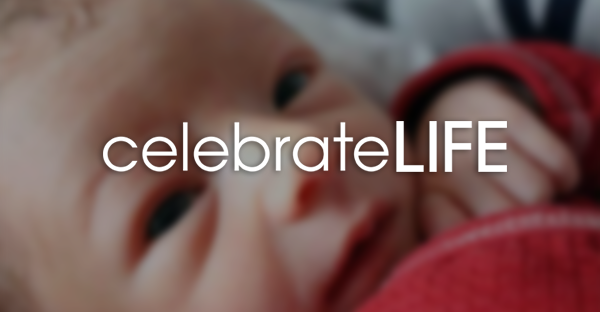 EDITOR’S NOTE: On July 14, The Center for Medical Progress released the first of five videos disseminated over the period of one month, each showing various Planned Parenthood staff discussing and/or engaged in the dismemberment and sale of preborn babies. Mrs.Flores’ article is in response to viewing the first video. When I heard the phone ring, I was thankful for the interruption. I was sitting in front of my computer watching a breaking news story that left me horrified and speechless. 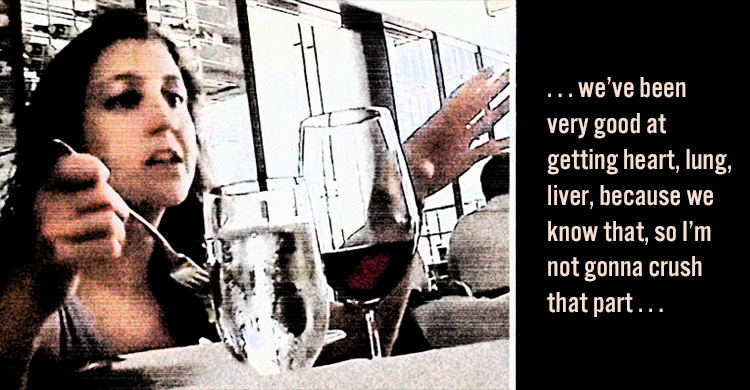 A woman on an undercover video was very much enjoying her lunch and glass of wine while she discussed selling the body parts of babies she ripped apart during abortions, talking about tiny livers and hearts with a coldness and indifference that made me shudder. As I picked up the phone I couldn’t help blurting out what I had just seen. I encouraged my coworker to look online at the developing story, which at that point was hitting the Internet like a tsunami. Then the conversation turned to the tasks at hand and I was grateful for the momentary break. But, as hard as it is, we mustn’t turn away for too long. The souls of these children cry out and we must not silence these cries. First and foremost, we need to pray. We need to pray for the babies, the mothers, the fathers, and for all those involved in these grisly acts. Our Lady has said that in the end, her Immaculate Heart will triumph. We must hold fast to that promise! We must also keep in mind the broader implications of these videos as more light is shined on the dark acts of PP. Clearly, it is not the benevolent organization it has claimed to be. How can it be when it’s heartless staff are sanguinely bargaining away the dissected corpses of tiny human beings? The Center for Medical Progress has permanently lifted the veil on the atrocities being committed daily throughout our country—atrocities supported by federal tax dollars. As a nation, we have been anesthetized with slogans about women’s bodies and “rights,” but these videos make the gruesome details of what abortion really is all too painfully obvious. Where is the “blob of tissue” that many desperate women have been told about for years? Clearly, “tissue” doesn’t have a beating heart, a brain, a liver that can be sold on dry ice and ordered from a menu of parts. These videos make one thing undeniably and painfully clear—this “choice,” this “blob of tissue” is a baby; a human being differentiated only by its size, level of development, environment, and degree of dependency. When the abortionist exclaims during the third video, “it’s a baby” and later, “another boy,” during the examination of baby remains, we know that PP knows the truth. Babies are not “choices,” they are children. Will the middle-of-the-road American who may be “personally opposed to abortion but in support of a woman’s right to ‘choose’” continue on the road of complacency? The images of a senior PP official joking, eating, and swilling wine while nonchalantly discussing the dismemberment of children must beg the question: Exactly what “choice” have we been supporting? If we don’t stand up against these crimes, if we do not act to defend the innocent, our complacency may be our condemnation. America? Enough. It is time to stand up and declare you—we—have had enough! These times can feel overwhelming. Daily responsibilities keep us busy and the hours slip away. The voice of the evil one attempts to persuade us of our helplessness and makes us wonder what one lone person can do. But never despair. Don’t turn away. Don’t feel helpless! Don’t let the recent failed vote in the Senate to defund PP take the wind out of your sails. Act. Contact your representative and ask him to impose a moratorium on all funding for this depraved organization. Keep these atrocities in the forefront of Congress’ mind. Sign the official petition to Congress online at PPBabyParts.all.org. You can find your congressional representative online at the United States House of Representatives website, House.gov, or call 202-224-3121 to speak to someone directly.